Phaedra Parks showed up to Watch What Happens Live on Sunday and told the world what we already knew, that she will divorce her husband, Apollo Nida. Phaedra sat alongside R&B singer Faith Evans and host Andy Cohen as they dished about episode 7 of The Real Housewives of Atlanta. When the topic changed to current prisoner, Apollo Nida, Phaedra was actually open and candid (for once). You know how she usually lies and tap dances around subjects? Well, not this time! Phaedra says she is working on amicably ending her marriage of five years. As you all know, Apollo is currently serving an 8 year sentence in a federal prison. He should have strategically played this situation to come out on top, but I know that's hard to do considering he's slow as fukk. Remember when that lawyer advised him to file for divorce before heading off to the pokey? Instead, Apollo acted a monkey fool in the streets of Atlanta, chasing Phaedra's azz all around town, showing up to her house and causing a scene, acting all desperate and ish, begging her to actually give a fukk. Now that he's locked up, Phaedra has the upper hand in the divorce and custody of their children. Apollo better hope that Phaedra leaves him a pot to pee in when he returns home for serving his sentence. 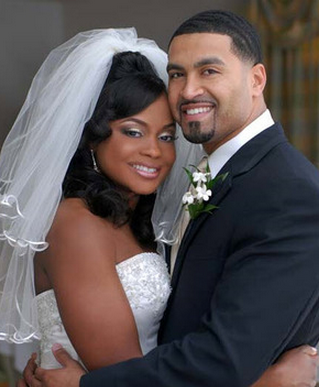 What do you think of Phaedra's plans to divorce Apollo Nida? Comment below!